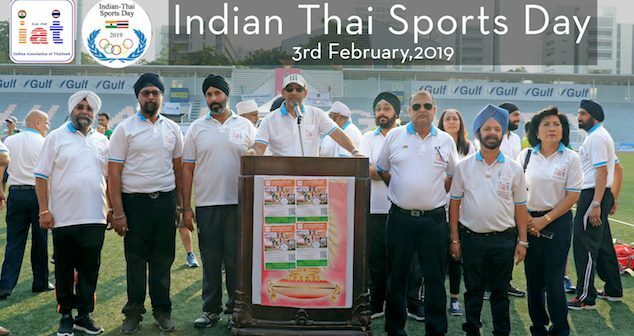 The Indian Association of Thailand (IAT) won gold with their 5th annual Indian–Thai Sports Day, which was a runaway success filled with dynamic games and the highest turnout in IAT history. On February 3rd, the Indian Association of Thailand (IAT) organised the 5th annual Indian-Thai Sports Day, a slam-dunk of an event held at Chulalongkorn University in their multi-purpose Sports Complex. The IAT, headed by President Sarabjit Singh Sachdev, organised the Indian-Thai Sports Day with their main mission in mind, which is to bring together the Indian diaspora living in Thailand. 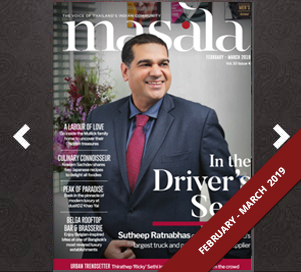 Five years later, the annual event is a staple of the Thai Indian community, anticipated by participants of all ages. Neither heat nor the haze of smog could disrupt a day of fun and fitness, as over 1,300 enthusiastic participants greeted the sunrise decked out in their assigned team colours. Kick off was at 6.30 a.m., when guest of honour H.E. Suchitra Durai, the newly-appointed Indian Ambassador to Thailand, graciously inaugurated the day’s festivities. The stadium was an explosion of colour: red, blue, orange, yellow and green shirts vied for dominance in a variety of sports, all under the watchful eye of professional referees and coaches. The event included games of football, basketball, chairball, volleyball, badminton, table tennis, shot put, and track and field, as well as the team-building classics, an obstacle race and tug of war. Nikorn Sachdev, the Chairman of the Youth Forum, presided over the sports day, and he knocked it out of the park with his spirited accounts of the friendly carnage on the fields. Everyone was in fine fettle, thanks in part to the food provided by the IAT throughout the day, as well as the assurance that medical assistance and an ambulance were waiting in the wings in case of emergencies. Participants who desired a break were regaled with four foot-tapping dance numbers from the International Youth Fellowship, as well as a rousing rock song by Arunee, Bobby and Amorn from the Raabta Group. After a full day of clever calisthenics, the Green group, led by manager Saran Singsathitsukh and Captains Amorn Kumar and Sanmeet Sethi, emerged victorious with 185 points. Tied for second place were the Orange and Yellow teams with 148 points, closely followed by the Blue players with 140 points, and finally the Red team with 134 points. The Deputy Chief of Mission H.E. Rammu Abbagani and his wife Pushpa Abbagani distributed the medals and trophies to all the winners. The event was coordinated by IAT Chief Coordinator, Deepak Shah, and Chairman of the Sports Committee, Satvinder Singh Sachdev. It also could not have happened without the tireless efforts of the Chairperson of the Ladies Forum, Renu Bhatia and her team of dedicated volunteers. Together, they once again managed to prove that nothing brings a community together more than beating our nearest and dearest in a few rounds of healthy competition.